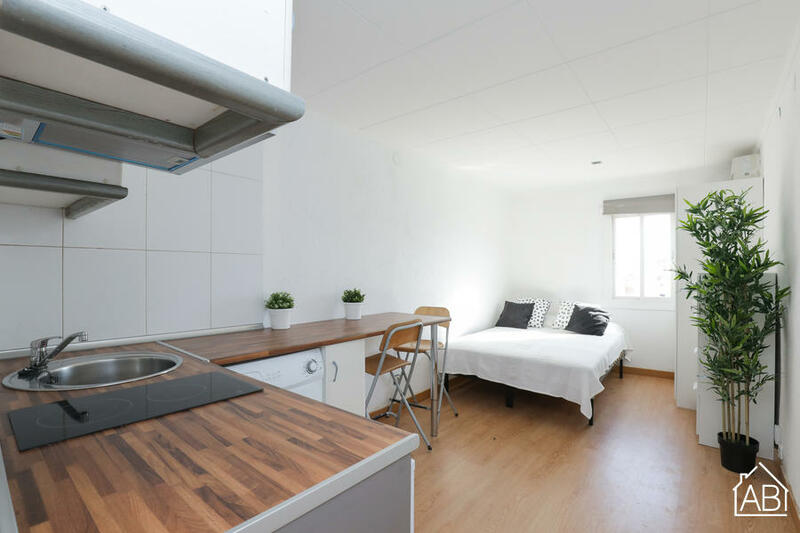 Just five minutes from the nearest metro station, this cosy one bedroom apartment offers guests a great location, free wifi, and air conditioning. It is just two minutes from Rambla de Raval, a lively street of bars and restaurants in the neighbourhood quarter. The apartment sleeps up to two people in one bedroom with one double bed. There is an equipped kitchen with coffee maker, toaster, microwave, juicer, and kettle, as well as a washing machine. The apartment has one bathroom. El Raval is one of the city´s most diverse cultural hubs and has been the focus of the recent city renewal program in Barcelona. It is home to some of the city´s most creative spaces, including Barcelona Contemporary Art Museum (MACBA) and the Centre of Contemporary Culture in Barcelona (CCCB), as well as Gaudi´s breahtaking Palau Guell. This neighbourhood is a great choice for those who want to experience Barcelona´s diverse local culture and immerse themselves in its creative delights.